Many people have raised questions about the claim Entergy frequently makes that they supply 25% of the electricity used in New York City and Westchester County. I asked Roger Witherspoon, environmental journalist, who has written about this issue for clarification. Here is his response. Many are concerned that closing Indian Point would have an impact on our supply of electricity and that the 2,060 MW’s the plant produces must be replaced to avoid black outs. In reality closing Indian Point would have no impact at all on the Westchester/New York City grid. Here is why: essentially, the electricity from Indian Point has been replaced by the free market. At this point, the twin reactors provide about 5% of the electricity used in this section of the grid. They are not capable of providing 25% — they never have, and never will. Here is a link to a story I wrote about it in 2012, titled “Turning off Indian Point and Keeping the Subways Running.” http://bit.ly/ZvIi41. The details are as follows. When the state adopted deregulation and implemented it between 1998 and 2001, utilities were required to decide to be either transmission companies or generating companies. They could no longer be vertically integrated monopolies. Con Ed chose to be a transmission company, and transmits all of the electricity used in this area. The company sold Indian Point 2 to Entergy and unloaded its gas plants to other firms. It charges transmission fees to some 3.5 million residential and 250,000 business customers. It buys electricity from various vendors. The New York Power Authority, a non-profit agency which built and managed Indian Point 3 and Fitzpatrick, an upstate reactor, sold both to Entergy in 2001. NYPA provides low-cost electricity to municipal customers: the airports, MTA, Metro North, public schools, street lights, and public housing throughout NYC and Westchester. NYPA gets electricity from hydro plants it owns, and purchases electricity from other vendors. Entergy, which owns both Indian Point plants, sells electricity in two ways: under long term contracts, and on the various markets (day ahead, hourly, and 15-minute) run by the New York Independent System Operator, which is responsible for maintaining the state grid. According to Con Ed, the average peak load in the summer is 13,000 MW for NYC/Westchester which are both part of the same grid. The peak load drops to 9,000 MW in the middle of winter. 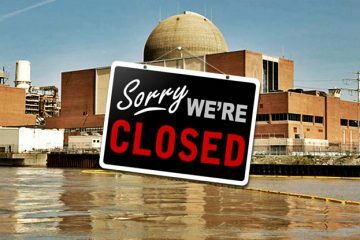 Initially, both Con Ed and NYPA had 7-year contracts with Entergy claiming 100% of the output from the two reactors. That 2,060 MW, the maximum output from the plant, represented 16% of the summer usage and 22% of the winter peak load. You will note, 25% would have required Indian Point to deliver 3,250 MW in the summer and 2,250 MW in the winter. It is impossible for Indian Point to provide either figure since their maximum combined production is 2,000 MW. In 2007, when the contracts came up for renewal, neither Con Ed nor NYPA wanted to get all of the output from Indian Point because there were better deals to be had from other generators. This was made possible by the increase in transmission lines pushed by the ISO. The increased transmission lines made it possible for upstate generators to compete for customers in this region. Eventually, Con Ed contracted for just 300 MW from Entergy in 2012, and NYPA contracted for just 100 MW. In 2013, when the contracts expired, Con Ed signed a new contract for 560 MW. NYPA DID NOT RENEW because there were better long-term deals offered by other vendors. NYPA has more than 300 power generators at its disposal. That means that since 2013, there has been NO electricity from Indian Point lighting up public housing, public schools, and city halls, turning on the street lights or landing lights at the airports, or powering the subways. So, if Indian Point closes, there will be NO impact on public housing tenants since their power supplier, NYPA, gets no electricity from Indian Point. 3. Where does the electricity from Indian Point go? Entergy has fed a myth that since the plant is here, all of the electricity is used here. The electricity was used here when Con Ed owned it and contracted for all of it. Indian Point is no longer locally owned, and sells electricity to a wide array of buyers. Last year and again, this spring, Entergy participated in the summer capacity auction for the Mid-Hudson region (6 counties above Putnam) and contracted to provide 1,500 MW to utilities there. 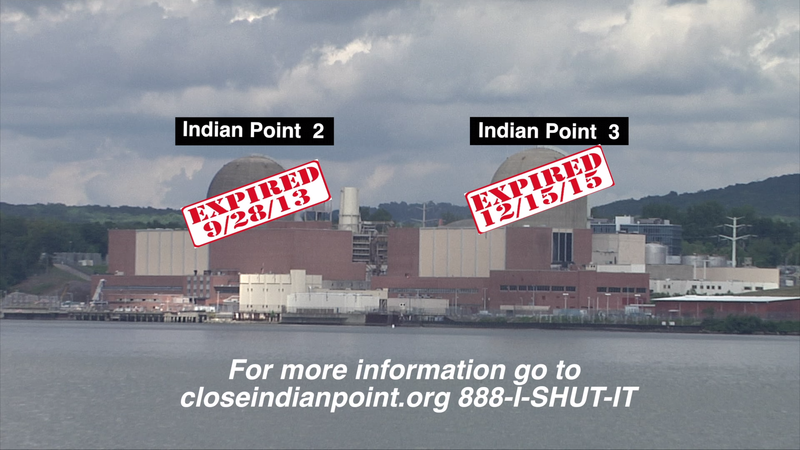 It is not possible for Indian Point to provide electricity to two regions at once. The 560 MW they provide Con Ed is ALL they provide to the NYC/Westchester grid. This amounts to 4.3% of the summer peak load of 13,000 MW. In the winter, Entergy utilizes the transmission interconnect at Putnam Valley to sell 1,500 MW through the Independent System Operator New England where the demand for electricity is high since much of their gas supply gets converted to heat. That leaves just the 560 MW they sell to Con Ed, which is 6.2% of the winter peak load of 9,000 MW. 4. Would air quality suffer if Indian Point is closed? The issue of increased air pollution should Indian Point close has been raised repeatedly. The assertion is that if Indian Point closed it would be replaced by coal or gas with the result being increased air pollution which particularly affects urban areas. Having grown up on 142nd Street in Harlem long before there was an EPA I am well aware of disparate impacts. However, this is not the case since we have a surplus of electricity in our grid. The New York State Coastal Management Act Consistency Determination , ( http://bit.ly/1Kf8iOY ) prepared by the Department of State last November makes this very clear. Essentially, the State’s position is that closing Indian Point will have NO effect on air quality because its electricity has been replaced by existing plants whose emissions are already factored into the state’s air mix. Most of the new power coming into the NYC/Westchester grid is being brought by new transmission lines, not new power plants. Conservation, efficiency, distributed generation (mostly from solar), demand response is all part of the mix in the system and has led to a decrease in energy consumption. In other words, it is not necessary to replace generation that is withdrawn from the grid with new generation. Grid operators now have many more ways to ensure that we have a stable and continuous supply of electricity. Tags: education, Entergy, Indian Point, Nuclear. Bookmark the permalink.